I am back this week with another insightful and inspiring interview. 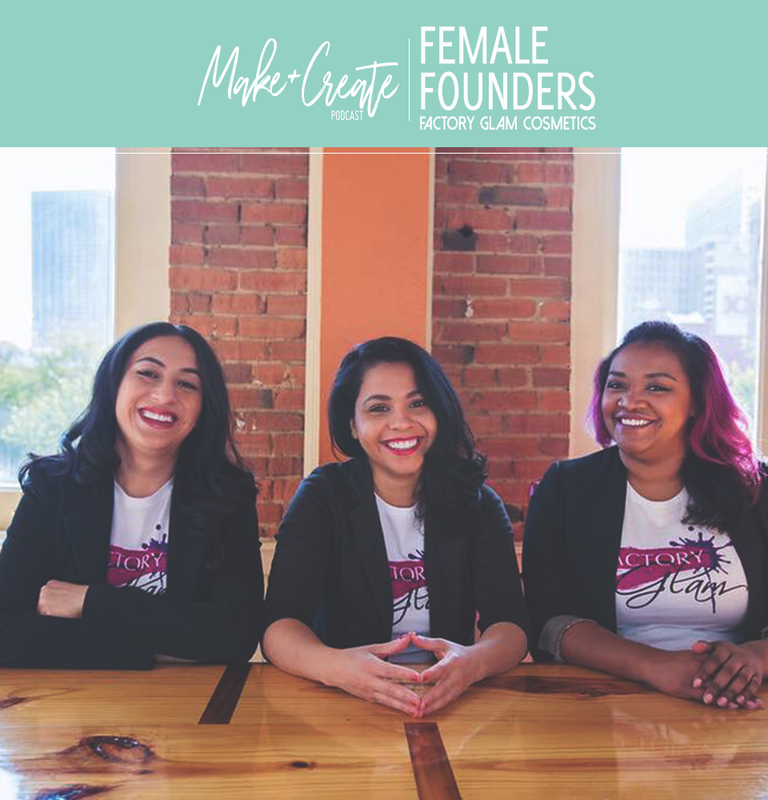 I spoke with Tyzza Macias a few months back about her journey launching her indie cosmetics brand: Factory Glam alongside her cofounders Eva and Natasha. Tyzza’s career as a beauty professional and entrepreneur began after graduating cosmetology beauty school in 2007. She continued her beauty career as a makeup artist, brand ambassador, product educator and developer for the beauty industry, including professional cosmetic brands such as Bare Essentials, Estee Lauder Brands, LVMH Brands, Lush Cosmetics LLC and Sally Beauty Supply LLC. After years of working with corporate brands, she knew she was meant to do something even bigger. 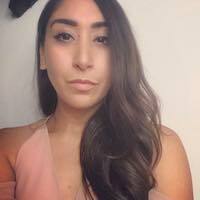 Her experiences provided her with the knowledge to create something on her own with a team and the mission to share the excitement regarding Factory Glam beauty products and her company and brand culture. In 2013 Tyzza, Eva Rangel and Natasha Best joined forces and their professional career background to create a line of cosmetics you can trust by a brand you can believe in. 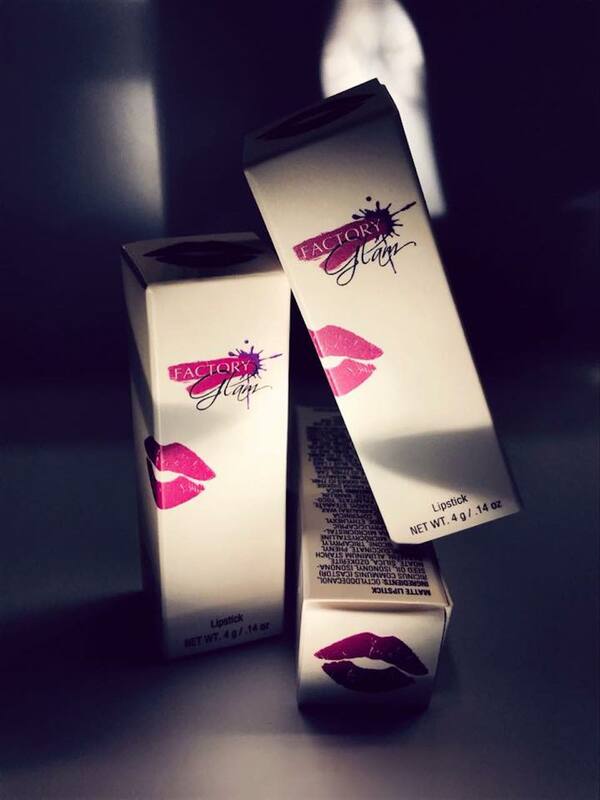 Factory Glam was launched by these experienced product developers, with the mission to develop responsible and safe cosmetics. Paraben free, Cruelty free and made in the USA. Every product is produced using scientific and dermatological research. Their products are never tested on animals. Their idea of sustainability is to create a balance between ecological, social and economic needs. Throughout the episode I talk with Tyzza about her experience in the beauty industry, what it has been like developing and launching a line of cosmetics, why she decided to keep the company headquartered in Dallas and so much more. We really explored the idea of women building one another up in business and how she is owning her place in the business world as a Latina, Female & Minority owned company. We talked about overcoming obstacles and we even have some fun talking about beauty trends for this summer. If you are someone interesting in launching their own company – specifically in the cosmetics world, a Minority based business owner or someone who just enjoys start up stories, this is the episode for you. Click play below for the full interview. While you are online make sure you stop by makeandcreatepodcast.com for my bi-weekly updates and features associated with each episode. If you want to keep up with me and the show on social media just follow @makeandcreatepodcast on facebook and instagram. You can follow me on twitter. If you like what I am doing and want to support, take a moment to check out the show’s patreon page at patreon.com/makeandcreatepodcast Any pledge amount can help me with the admin side to keep creating the content on this show. Make sure you check back in two weeks for our next episode. I am so excited about this one. I had the opportunity to talk with Claire Gallagher – the Body Astrologer herself. If you haven’t heard of Claire, I’m surprised, but you will be in for a treat. As many of you who have followed along – you know I have a penchant for all things mystical, magical and cosmos related – I’m a latina woman who comes from healer ancestors and I am still working to find my own healing path. I am a firm believer in energy work and I think Astrology is an incredibly under rated and under utilized tool. On top of that I am inspired by women entrepreneurs who are doing things on their own terms and not letting societal norms get in the way of their success. Claire’s journey is so unique and she proves that even through difficulties, we can create our future with the right mindset. She has a background and degree in traditional Chinese medicine, she’s a licensed acupuncturist, has a masters in Nutrition and acupuncture, she is a personal trainer and has training and a specialty in medical astrology. After years in the fitness industry, she launched a company that allowed her to disrupt people’s thoughts on what and how fitness works for their body. She made it a point to combine all her modalities into creating a business that not only looks at fitness as medicine, but that also combines her knowledge in astrology and TCM to offer her clients specialized fitness and health regimens based on their birth charts. She’s all aboutwidening the fitness circle for us magical folks to go beyond the yoga mat and she wants to spiritualize strength. Make sure you check back in two weeks for this fantastic episode – it was incredibly enlightening for me and I think it will be for you all too. This episode marks a move from my more traditional take on episodes and leads me into a direction that is looking at individuals who are pursuing non traditional careers and launching businesses that aren’t the norm. I will still have an abundance of episodes featuring your run of the mill start ups, but I am hoping that this year I talk with people who are doing things a little different and aren’t afraid to do so. That’s something that I think is so important. We often get caught up in the idea of the expectations of what we are told we are supposed to do. Go to college, get a corporate job, make sure you are making this much money by this age, have this many kids, become a soccer mom, live life in this way or that, retire etc. Yet, many of the people that I talk to who are doing life on their own terms are finding an incredible amount of success and fulfillment doing things that feel right to them, rather than by doing what’s expected of them. We get so scared of change, that it can be hard to leave a job that we feel tied to or that we think others consider an accomplishment – even if we are miserable. We are often too afraid to start over or as I say reinvent ourselves, because we think it is too late or we are too old or we haven’t given it enough time. Yet, each individual that I have talked with over the last 2 years has shown me that it is ok to fail, it is ok to get back up, it is ok to turn a different corner and do something that isn’t expected of you. Sometimes, we have to listen to our intuition and remind ourselves that in the grand scheme of things, it is ourselves that we are answering to and attempting to heal and develop and grow. But in that process of healing and developing and growing, we do connect and impact so many around us. It’s important to think about the perspective we have and learn that it is ok to change. Change really is the one true constant in this world.